PARIS, — Total SA (FP), Europe’s third-largest oil company, is looking “very closely” at investment opportunities in Kurdistan where contract terms are superior to those on offer in Iraq, Chief Executive Officer Christophe de Margerie said. “It’s a place where there are important oil and gas reserves and contracts are better” than Iraq, de Margerie said on Friday at a press conference in Paris. Total is looking to see whether there are “interesting” exploration blocks in Kurdistan, he said. The authorities in the semi-autonomous Kurdistan region of northern Iraq, home to about 40 percent of the country’s 115 billion barrels of reserves, angered Baghdad by signing a contract with Exxon Mobil Corp. The central government has so far refused to recognize production-sharing agreements between foreign companies and the Kurds. “Kurdistan is in Iraq and it’s up to Iraqis to decide among themselves” whether agreements should be separate, de Margerie said. Iraq plans to auction 12 exploration areas as part of its fourth bidding round. The concessions, seven for oil and five for gas, cover 90,700 square kilometers,www.ekurd.net according to an Oil Ministry statement in April. Total has signed contracts in previous bidding rounds. Companies operating in the Kurdish region are banned from participating in the planned auction. PNA-U.S. oil giant ExxonMobil Corp. won't be allowed to take part in Iraq's fourth licensing auction scheduled in May because it signed deals with the Kurdistan region in Iraq, a spokesman for Iraq's Deputy Prime Minster for Energy Hussein al-Shahristani said Monday. "The Iraqi government has decided that Exxon won't be allowed to participate in the next oil and gas bidding round," Faisal Abdullah said. The Iraqi Kurdistan region signed a deal Oct. 18 with ExxonMobil for it to explore six areas, but top officials in Baghdad regard any contracts that weren't signed with the central government as invalid. Mr. al-Shahristani has said the U.S. oil major would have to choose between its Kurdish deal and a contract to help develop production at southern West Qurna-1, the country's second-biggest field. "We are still waiting for Exxon to answer our letters in which we warned that it has to choose between contracts in Kurdistan and those in southern Iraq," Mr. Abdullah said, adding that in light of Exxon's reply the Iraqi government would make a decision regarding its contract in the south. Iraq is planning to auction 12 exploration blocks distributed in various parts of Iraq. Seven of them are believe to contain gas with the remaining five are thought to deposit crude oil. LONDON, — Exxon Mobil (XOM.N) has disclosed its plans to explore for oil in Iraq's Kurdistan in the company's annual report, breaking months of silence over the investment that has outraged Baghdad. While the Kurdistan Regional Government (KRG) in November trumpeted the deal for six exploration blocs, Exxon - the first major oil company to invest in northern Iraq - had steadfastly declined to comment since. The KRG said the production sharing contract with Exxon was signed on October 18, 2011. "Exploration and production activities in the Kurdistan region of Iraq are governed by production-sharing contracts negotiated with the regional government of Kurdistan in 2011," said Exxon's annual report, filed on February 24. "The exploration term is for five years with the possibility of two-year extensions. The production period is 20 years with the right to extend for five years." The Exxon report did not go as far as to say the Kurdish negotiations had been finalized. The U.S. major's foray into Kurdistan infuriated the central government, which has long held that all foreign oil deals signed with the KRG are illegal. The central government initially threatened to cancel Exxon's service contract for the supergiant West Qurna-1 oilfield in southern Iraq. But at the end of January, Baghdad told Exxon it could keep working at West Qurna provided it froze its plan with Kurdistan. Industry sources say the company has no such intention and that it continues to press ahead quietly in Erbil. The central government, in any case, cannot take action against Exxon over its Kurdistan bloc deal until Baghdad drafts a formal legal response, Iraqi oil officials have said. The Ministry of Oil has, however, stripped Exxon of its role as project leader for a multi-billion-dollar water injection scheme that is core to the development of Iraq's oilfields in the south. 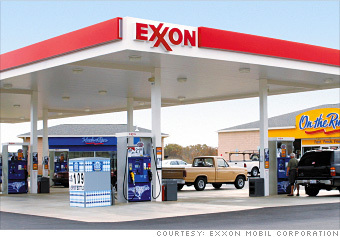 Iraqi officials said the move was not in retaliation for Exxon's involvement with the KRG. Otherwise, it is business as usual for Exxon at West Qurna-1, where production has risen to about 390,000 barrels per day from 244,000 bpd when Exxon and minority partner Royal Dutch Shell (RDSa.L) signed up the contract in March 2010. By the end of last year, the pair had spent $911 million on the project which targets output of 2.825 million bpd by 2017,www.ekurd.net a senior Iraqi oil official said this month. Baghdad had repaid the companies $470 million. Iraq signed a series of deals with international oil firms such as Exxon to boost its output capacity to 12 million bpd by 2017 from about 2.9 million bpd now. But it may eventually lower the target due to infrastructure constraints. do you think? is this really important for declaring state? aahhhhhh jes, you have absolutly right. Heritage Oil Plc (LSE: HOIL), an independent upstream exploration and production company, announces that it has commenced drilling the Miran East-1 exploration well in the Kurdistan Region of Iraq (“Kurdistan”). Drilling of the Miran East-1 exploration well has commenced with an estimated target depth of c.4,000 metres. This is the first well to be drilled on the highly prospective eastern structure, which has an area of approximately 130 square kilometres. The well is targeting exploration potential within the Cretaceous and Jurassic reservoir intervals of the eastern structure, contiguous with the hydrocarbon bearing Miran West structure. The well design utilises recently acquired 3D seismic data and the enhanced understanding of the structural configuration within the Miran Field that this has provided. Drilling of Miran East-1 is expected to take approximately seven months with multiple intervals to be evaluated and tested as the well is drilled. Heritage Energy Middle East, a wholly-owned subsidiary of Heritage, is operator and holds a 75% interest in the Miran Block and Genel Energy plc the remaining 25%, although there are third party back-in rights. The Miran Block has an area of 1,015 square kilometres and is located west of the city of Suleimaniah. The Miran Block contains two large structures, Miran West and Miran East, which have been mapped from 2D and 3D seismic programmes conducted by Heritage. according to the website the well is estimamted at 10 billion barrel of reserve oil . hevalo27 wrote: aahhhhhh jes, you have absolutly right. it will take 1-3 years Max !! . Erbil - 11 March (PNA): Kurdistan Region will be able to produce 400,000 barrels per day (bpd) of crude oil by the end of the year, Kurdistan Region's Oil Minister declared. The target output means an increase of 128% from current 175,000 bpd. “The successful policies of the KRG has made it possible for the region to start from scratch and is now capable of producing 175,000 bpd,” the Minster of Oil and Natural Resources, Ashti Hawrami, said today. Hawrami continued saying " thanks to the Kurdistan Region will have an important place in the global equations and will have a positive impact in guiding the oil policy and global energy production in the region, the form in which it participates in the protection and energy security in the region and the world. " In the area of ​​natural gas production, the Minister of Natural Resources in the Kurdistan Regional Government said that "the Territory has the presence of natural gas rate of 100 to 200 trillion square feet, and currently we produces a portion of this wealth in the supply and operation of power stations and self-sufficiency and the other part of the implementation of service projects" , noting that "the interest in this aspect of the energy will have an impact on energy saving more for Iraq in general as well as exported to other countries within the framework of the constitutional foundations of the Iraqi oil law." Hawrami then said "Thanks to natural gas in the territory of Kurdistan which has ensured the Government of the Territory about 2000 MW of the energy electrical, and thus we've been the providing of large section of needs of local demands in the Territory from energy electrical, and we have a plan in 2019 to raise the the proportion of energy production electrical in the Region to of up to 8000 MW ". In the axis of his speech at the annual conference of the Organization (SERA), The Minister of Natural Resources in the Kurdistan Regional Government pointed out to the differences between the KRG and the federal government on how to share the energy production and oil products in Iraq in general and the region in particular. Hoping to witness the next stage to end the differences between the Government of the Kurdistan and Federal Government, and to appeal to the terms of the permanent Iraqi constitution and taking into account the interests of Iraq, for now and for the future of its peoples, and total commitment from the government in Baghdad to the constitutional rights enjoyed by the Government of the Kurdistan in the field of energy production and products oil through the development of a comprehensive law in the organization to encourage oil products "on behalf of oil and gas law in Iraq." At the end of his speech,he highlighted on the significant gains achieved by the Kurdistan Region in this area, he said, "The Kurdistan Region has taken steps well and has seen remarkable progress, compared to that stage and the conditions experienced by Iraq and the region over the years in all fields, especially with regard to the production of Oil and natural gas, so we see in order to continue this pace we need to support the most demand internally and externally, because we believe that the peoples of the region and of the world will benefit from support such projects. This will have a direct impact to protect the world's energy and deliver it to the world markets to take advantage of them". The Conference Organization [SERA] is one of the important conferences on energy issues in the world and is a conference environment characteristic to discuss important issues concerning the role of energy in rebuilding the global economy and the challenges of leadership, opportunities and responsibilities that will face in the future, and the conference will be held annually with the participation of a large number of experts and representatives of major countries and companies to produce energy in the world. " MUMBAI: Videocon Industries has firmed up plans to bid for oil blocks in Kurdistan - governed by the Kurdistan Regional Government - even though global oil majors have been shying away from bidding for oil assets in the region. Iraq, which has a dispute with the regional government over royalty sharing issues, bars firms that bid in Kurdistan without seeking its approval. "We are going to bid for oil blocks in Kurdistan. It has a regional autonomous government there," Saurabh Dhoot, director on the board of Videocon Industries and nephew of Videocon Industries chairman V N Dhoot, told TOI. Saurabh oversees the oil business at Videocon Industries. Asked if Videocon would bid solo or through a consortium partner, V N Dhoot said, "BPCL is our natural partners... We will offer them to be our partners in KRG as well." Videocon will be second Indian firm after RIL to bid for oil blocks in Kurdistan with reserves of 45 billion barrels, sixth largest in the world. Iraq has banned RIL, which owns two exploration blocks in Kurdistan, from bidding for its oil blocks. "Some of the oil firms are keener on bidding for oil assets in Kurdistan than Iraq because the Kurdish contracts offer better terms than those offered by Baghdad," said an oil analyst. However, state-owned ONGC has shied away from bidding in Kurdistan to avoid offending Baghdad. ONGC's overseas arm OVL has been selected as a qualified bidder for oil blocks in Iraq. Shares of Videocon Industries gained 1% to close at Rs 181 in a firm Mumbai market on Tuesday. Videocon is also learnt to have received a surprise $3 billion unsolicited offer for its 10% prized stake in the gigantic gas filed in Mozambique in which its junior partner Cove Energy, which has put itself on the block, holds 8.5%. Global oil major Royal Dutch Shell and Thai state-owned oil firm PTTEP have bid for Cove Energy, while India's ONGC and GAIL have expressed desire in participating in the bids. Without confirming or denying the offer, Dhoot said, "If our 10% stake is getting valued at $3 billion now, it will fetch me over $7 billion in just three years time when it starts producing so we are not exiting at this point of time." Director if sub-district of Xerdran told (AKnews) that a foreign oil company has began exploration of oil in a village of Kani Spi .
" Despite the benefits KRG will have from these oil extractions , it will have a direct impact on the living standards of the people resided in this area" Said Salih Klesayy" . According to his statement currently the company will bring drilling for oil soon and are currently still bringing in their equipments and will establish an oil refinery in the region as soon as the extraction work begins. He pointed out that because of this development , the entire region will benefit from it via Petro dollar program, "in the last 2 years exploration of the region was implemented and it was revealed a large reserve of oil and gas exists under ground" . Arbil, March / March (Rn) - The head of the Presidium of the Kurdistan region, said on Saturday that Exxon Mobil Oil continues to work in the Kurdistan Region Government was not informed of anything concerning the freezing of its work. Iraqi oil It quoted "Reuters" Fuad Hussein, saying that "Exxon Mobil did not report the Kurdistan Regional Government to freeze anything about her work in the region." He pointed out that "there are ongoing meetings between the concerned authorities in the region and senior executives the U.S. company," adding that it "believes that the company continues to work there." The Iraqi Oil Minister Abdul Karim and coffee said, on Friday, said that Exxon Mobil approached Baghdad on the fifth of March current learned that it has frozen its work in the Kurdistan region. The U.S. company may have angered Baghdad, when signed exploration agreement with the Kurdistan Regional Government, which considers the federal government of Iraq against the law. He also noted the Iraqi minister "Reuters" on the sidelines of a news conference that "the Iraqi government did not abolish its decision to exclude Exxon Mobil from the next round of oil licenses which will be assessed Baghdad." The Kurdistan Regional Government announced in November that it has signed an agreement on the six concessions for exploration with Exxon Mobil, which was the first major oil deal directly with a formal regional government of Kurdistan. According to the Iraqi Ministry of Oil, global oil production will reach 3.4 million barrels per day for the first time in more than three decades, the current end of 2012. Oil exports from the Kurdistan Region in Iraq have been averaging 90,000-100,000 barrels per day in 2012, from fields at Taq Taq, Tawke, Khormor and Khurmala. However, the Ministry of Oil spokesman in Baghdad has made repeated claims that only 65,000 barrels per day are being exported from the Kurdistan Region. He claims that the federal government is suffering daily financial losses as a result. If the Oil Ministry’s claims are correct, this means that between 25,000-35000 bpd are being lost in the process of SOMO (the State Oil Marketing Organisation) receiving oil from the Kurdistan Regional Government and taking it to market. The KRG believes that this discrepancy should be investigated immediately in case somebody is creaming off the difference between the oil received and the oil sold. Responsibility for any shortfall in federal revenues from KRG oil exports lies fully with the Ministry of Oil and the federal government in Baghdad for failing to meet their obligations and honour their payment commitments to the KRG. During negotiations for the 2012 Iraq federal budget, the government in Baghdad asked the KRG to commit to export levels of 150,000 bpd. The KRG instead offered to export 175,000 bpd provided that payments to contractors were honoured without interruption. This has not happened. No payment has been made by the federal government since May 2011. It owes the KRG more than $1billion for revenues accrued in 2011. Furthermore, not a single dollar has been received for exports in 2012. The 175,000 bpd target is possible and the Region could even increase to 250,000 bpd, but only if the federal government honours its payment agreements. Otherwise, even the 90,000-100,000 barrels per day currently being exported will decline and eventually cease. OSLO,— DNO International ASA, the Norwegian oil and gas company, announced today that its just-completed Tawke-16 well in the Kurdistan Region of Iraq flowed at a cumulative rate in excess of 25,000 barrels per day of 26-27º API gravity oil from multiple, independently tested zones. The Company expects to connect the well to existing pipeline and processing facilities by mid-April, boosting the Tawke field's deliverability. The Tawke-16 well was designed to probe and appraise the undrilled northern flank of the Tawke field. It reached total depth of 2,369 metres and encountered over 350 metres of gross continuous oil column in the Cretaceous interval of the Tawke field. The well was spud in late December 2011 and the cost to drill, complete and test the well was under $7 million. "The Tawke-16 test exhibited exceptional flow characteristics and confirmed the reservoir quality and productivity of the northern extension of the Tawke field," said Bijan Mossavar-Rahmani, DNO International's Executive Chairman. "In fact, based on these test results, Tawke-16 likely is the most prolific well drilled so far in this field by the Company." DNO International will continue to actively develop the Tawke field, with the goal of establishing 100,000 barrels per day of sustainable deliverability before year end. Tawke-16 is the first of four wells targeting the Cretaceous interval that the Company plans to drill in 2012,www.ekurd.net while a fifth, Tawke Deep, will also penetrate the deeper Jurassic and Triassic intervals in the field later this year. Mr. Mossavar-Rahmani emphasised that DNO International has a strong commitment to build on its successes in the Kurdistan Region of Iraq by expanding the size and scale of its exploration, development and production operations. DNO International has a 55 percent operated working interest in the Tawke field, with Genel Energy holding a 25 percent working interest and the Kurdistan Regional Government a 20 percent working interest.